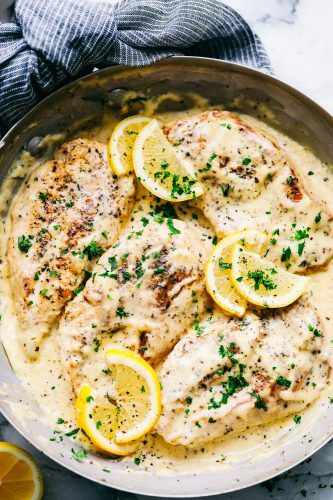 Creamy Lemon Parmesan Chicken is an incredible restaurant quality meal you can make under 30 minutes. 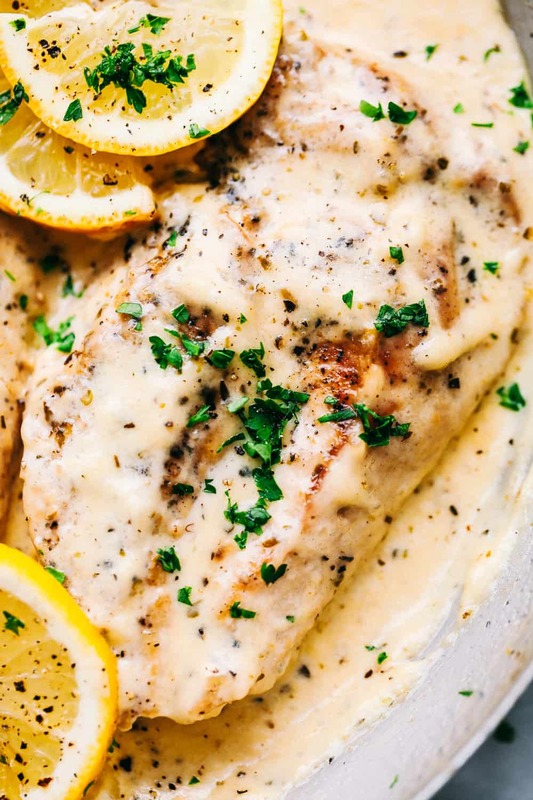 Tender and juicy chicken is drowning in a creamy lemon parmesan sauce and is a meal the family will go crazy for! Our family loves a good creamy chicken dinner! Creamy Parmesan Garlic Mushroom Chicken, Creamy Tuscan Chicken, or Creamy Chicken Marsala are just a few of the favorites on the blog! Creamy, dreamy and everything your family is looking forward to while sitting around the table together. This chicken is AMAZING and will have your family begging for more. Every bite is tender chicken with a sweet and savory flavor that melts in your mouth with every bite. My boys were adding seconds to their plate and my girls were asking for more creamy sauce on top of their chicken. It is a great combination that leaves you wanting more. It is light and tasty with minimal work to fix this dinner for your family. This is now my go-to meal that works well for our family. You will want to double this recipe and just so you have some for leftovers the next day. It is that Good!! It tastes even better warmed up and still loved by all in our family. Left overs are always a huge hit for lunches or snacks after school at our house. It is nice to have something that can warm up quick and still taste delicious the second time it is re-heated. 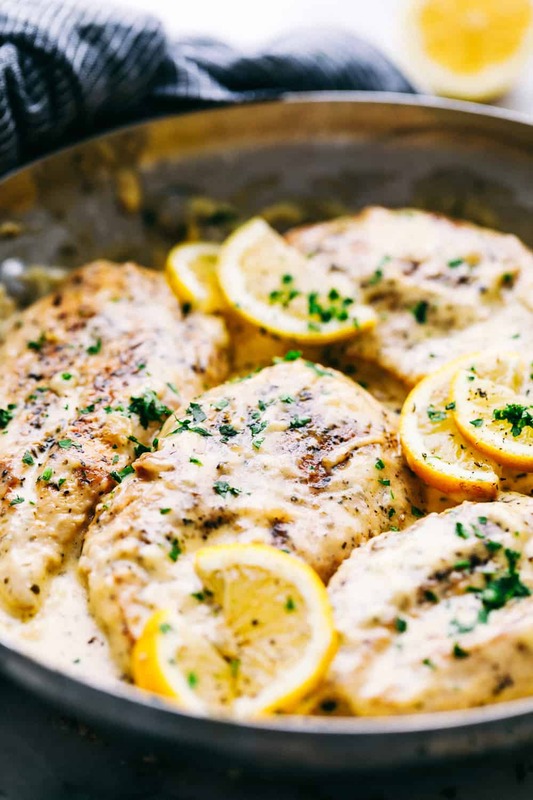 This Creamy Lemon Parmesan Chicken is a huge hit and my kids beg for it each week! 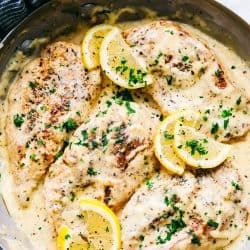 How do you make Creamy Lemon Parmesan Chicken? 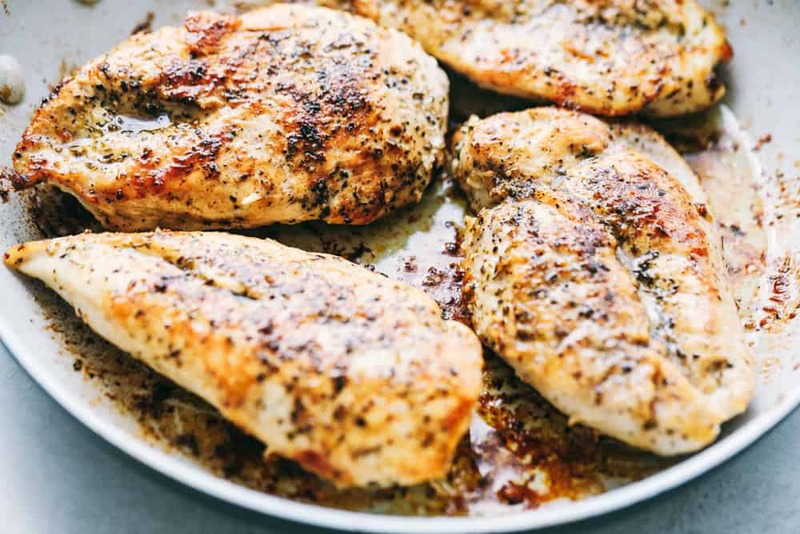 In a large skillet add olive oil and cook the chicken on medium high heat for 3-5 minutes on each side or until brown on each side and cooked until no longer pink in center. Remove chicken and set aside on a plate. Add the heavy cream, chicken broth, juice from one lemon, garlic powder, italian seasoning, and parmesan cheese. Whisk in the cornstarch and let simmer for 1-2 minutes over medium high heat until it starts to thicken. Add the chicken back to the pan and serve over pasta if desired. What Temperature Do You Cook Chicken To? A meat or instant-read thermometer is your best bet for determining the temperature of your chicken, and if you’re cooking a whole bird, it should be inserted into the thickest part of the thigh but not touching bone. 165 degrees Fahrenheit is the safe internal temperature for both the white meat and dark meat. What Do You Serve with Creamy Lemon Parmesan Chicken? What Kind of Parmesan Cheese is Best? This is always a great question! I love to use finely grated (powdered looking) parmesan cheese for this creamy sauce. It is easy to blend with the whisk and it makes a thick, rich and creamy sauce that tastes perfect every time. You are welcome to use shredded parmesan cheese if you prefer. Shredded parmesan cheese will be cheesier and not as thick but still have the delicious flavor. Want More Creamy Chicken Recipes? Here are some to try! Do You Love Lemon Chicken Recipes?! Try these!